Just over a week ago I took my first field trip of the year, offered by the Land of Israel Studies and Archaeology department of Bar Ilan University where I am a student. This time we traveled to two ancient cities that were especially important during the Bronze and Iron eras: Tel Megiddo and Tel Hazor. Our guide for the day was Prof Aren Maeir, lecturer and director of the Tel es-Safi excavations. 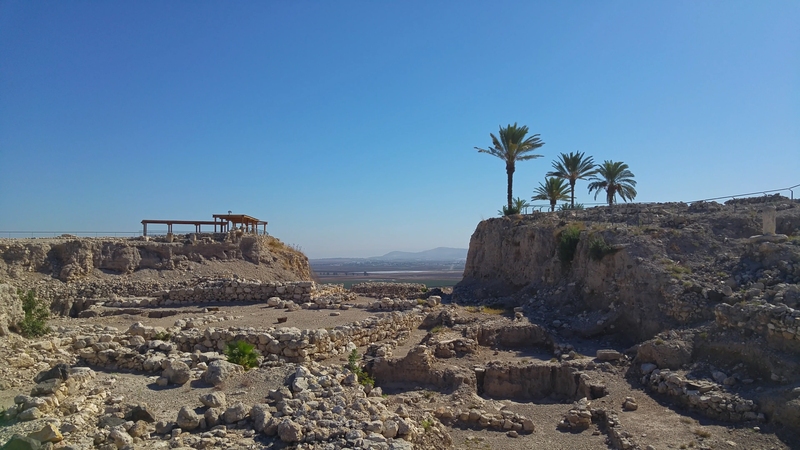 We set out early in the morning, with a busful of students including the frequently-featured Adam Ota and Ben Yablon, and arrived at Tel Megiddo in good time. Since I had already visited Tel Megiddo back in 2013 when I was in the army, I shall gloss over the background information about the important site. However, since my last visit was on a day of particularly hazy and unpleasant weather, I shall spruce this post up with some lovely new photographs. 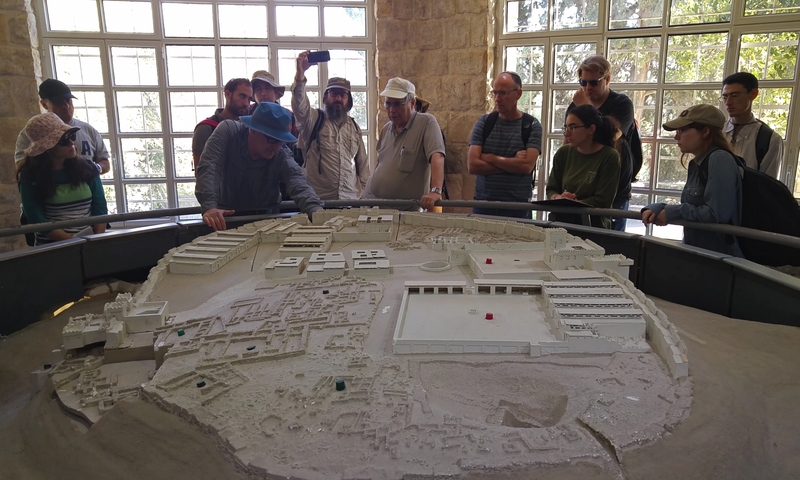 Entering via the gift shop, we began the tour with a series of photographs, maps, and an interactive model that gave the proper historical background and geographical importance to ancient Megiddo. Moving on outside, Adam and I kept a sharp eye out for interesting birds, as we knew that there was great birding opportunity. 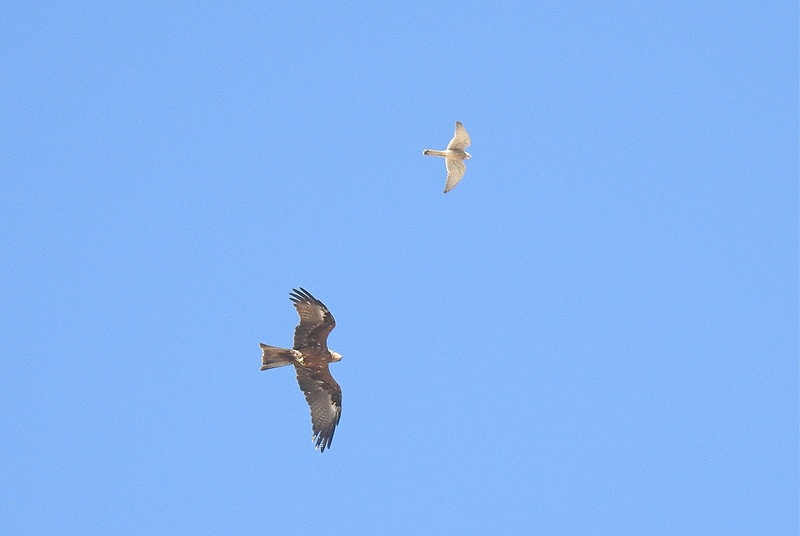 We were immediately rewarded for our efforts, with some redstarts and a juvenile marsh harrier soaring overhead. 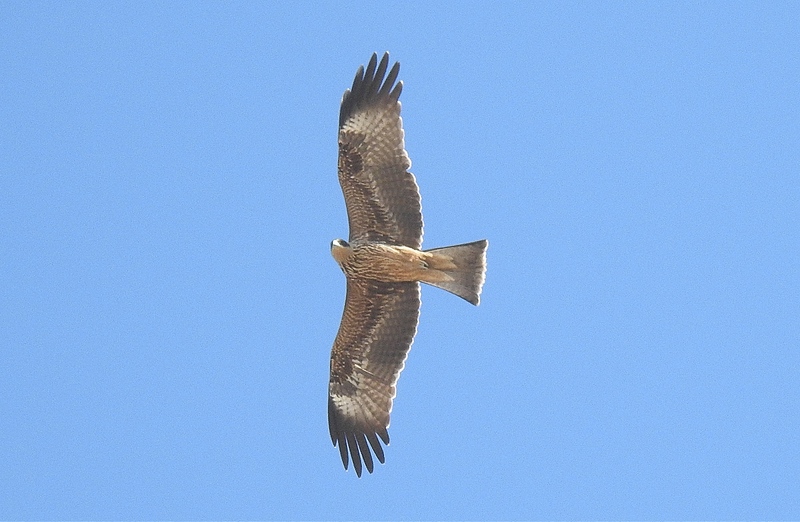 Nearly immediately thereafter, as we congregated at the Canaanite city gate, a handful of black kites appeared above us. As we toured the northern side of the tel, we saw a handful of common cranes, more black kites and a lesser spotted eagle. We moved from the Israelite gate to the palace and then on to the temple area with the famous round altar. Far off in the distance, near the Megiddo Airport, Ben found a flock of grazing cranes with the aid of my new 83x zoom camera. Heading on our way from the silo to the southern palace and stables, we heard more from Prof Maeir but were promptly distracted by an aerial dogfight happening overhead between a pair of common kestrels and a black kite. That distraction, coupled with more birds in the air including a trio of cranes, allowed our fellow students to enjoy the natural world as well as the mysteries of the past. From the stables we headed to the underground water system, excavated to tap into a freshwater source to provide access to the city without needing to leave the safety of the walls. Within the damp tunnel we learned more about the water system, and then climbed out the far end to make our way to our waiting bus. An hour or so later we arrived at Tel Hazor, located in the Hula Valley region way up north. I had visited the site back in my first years of living in Israel, before starting this blog, and then tried to visit again back when I was in the army. Unfortunately, in a freakish turn of events, that trip ended in disaster when I was attacked by two dogs belonging to the mustachioed park ranger who was manning the front office. I managed to get bitten only once, on the back of my right thigh, and to this day I still have a welt there. Definitely an interesting story to tell over, even if reminiscing with that park ranger didn’t happen on this trip (I had found out that he recently retired). Our group entered the national park and began the tour after a short break for lunch. 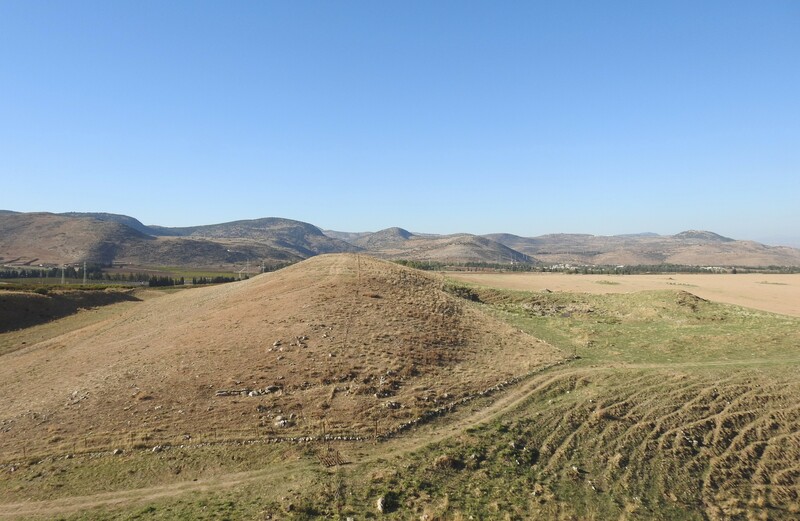 Despite being a shorter tel than Tel Megiddo and commanding a slightly less impressive view, there was something quite pleasing about the hilly terrain around us and its colour gradations of green and brown. Joining us from a safe distance were a handful of song birds including white wagtails, stonechats and a lone redstart. Prof Maeir began the lecturing at the meeting point between the upper and lower cities, educating us about Hazor’s layout over the millenia. 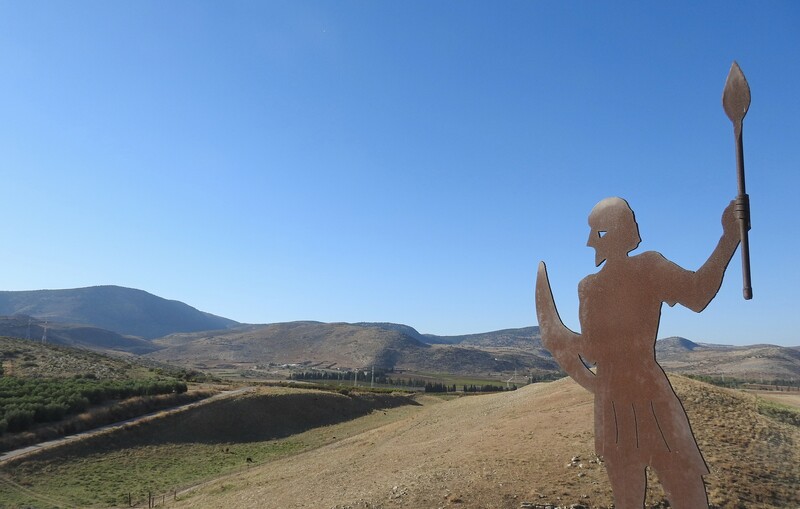 Biblically famous as being the defeated Canaanite capital city during the period when the Israelites entered the Holy Land, Hazor was already an important city hundreds of years prior. Hundreds of years later Hazor made another biblical appearance, and destroyed once again. Under Israelite control the city continued to flourish and expand, yet was prey to the ravages of several foreign conquerors, including Assyrian kings Shalmaneser III and Tiglath-Pileser III, as well as Aramean king Hazael. 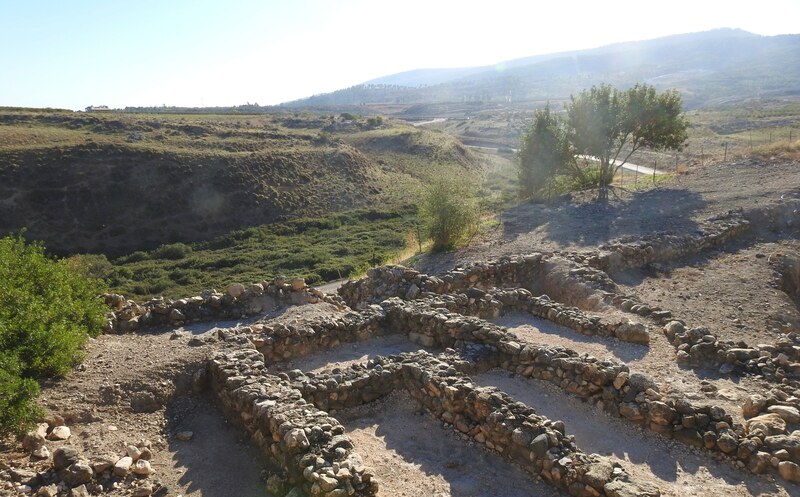 Abandoned over two thousand years ago, parts of Tel Hazor have since been excavated over and over beginning in 1875. We entered the city ruins by way of the chambered Israelite gate, and sat down in the covered Canaanite palace. There were more birds to be seen, including black kites and a sparrowhawk, but under the palace’s modern roof we were relieved of nature’s distractions. 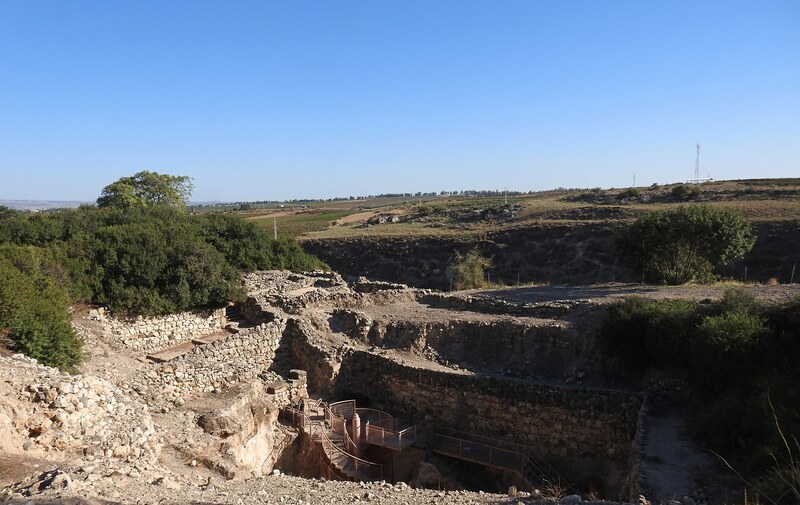 Continuing westward, we examined more of the excavated ruins including a storage house and an olive press until we reached the Israelite citadel at the western end of the tel. There we enjoyed the view and the breeze in the company of a large rusted metal warrior, and made our way back towards the centre of the city. Our final stop of the day was to the water system, yet another fascinating engineering feat to supply fresh water to the city’s inhabitants. When we were done learning about the system we climbed back out of the deep tunnel and pit and made our way to our waiting bus. Leaving Tel Hazor I had just a short ride to the city of Hazor where I took public buses home to Ma’alot for the weekend while the rest of the group continued on south back to Bar Ilan University. Thus ended the first of hopefully many field trips of this final year of my BA degree. Such a fun trip! Who won — the kite or the kestrel? And what was the prize? I think the kestrels can claim the victory because they succeeded in driving the kite off. And for the prize, I think I won by getting pictures of them both.